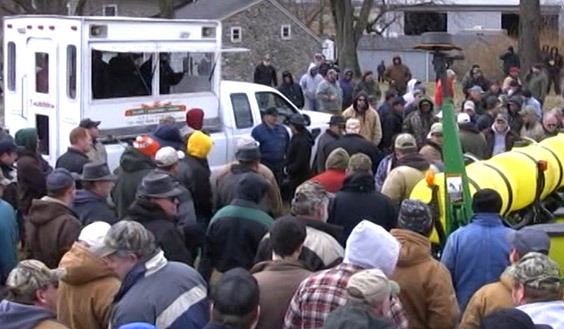 Kline, Kreider and Good Auctioneers is one of the most recognized names in Lancaster County PA auctions and auctioneering services. A full service auction company, Kline, Kreider Good Auctioneers specialize in the marketing and sale of real estate including residential, commercial, land and farm auctions with plenty of experience in the sale of personal property, antiques, farm machinery and liquidations. The Auction Listings are frequently updated to keep you informed of our upcoming auctions in Pennsylvania. The real estate auctions are archived enabling you to easily find the property’s selling price and to look back on older auctions. If you are considering the sale of your property, or the purchase of another, you may find the Auction Advantages and Marketing Plan pages of this website informative. Randal V. Kline and Roy E. Good Jr., both licensed and bonded auctioneers, bring over 58 years of combined experience in the auction profession. Randal V. Kline also has 40 years of experience in the marketing and sale of real estate. He is a licensed real estate broker and a licensed real estate appraiser and can represent you in the sale or purchase of any property on the real estate market that is listed in the multiple listing of the Lancaster County Association of Realtors (LCAR) computer network. If you would like more information on our services, please call Randal V. Kline at (717) 733-1006 or Roy E. Good at (717) 445-4309. For Action, Go Auction! !